**Price Reduced** Absolutely Stunning Cardel Kingfisher III home in model condition, nicely situated on a large conservation lot. This fabulous home features almost 3000 SqFt of spacious living area - 4 Bedrooms, 2.5 baths and LARGE Bonus Room. The large upgraded gourmet kitchen features granite counter tops, decorative back splash, stainless steel appliances and 42 inch cabinets. 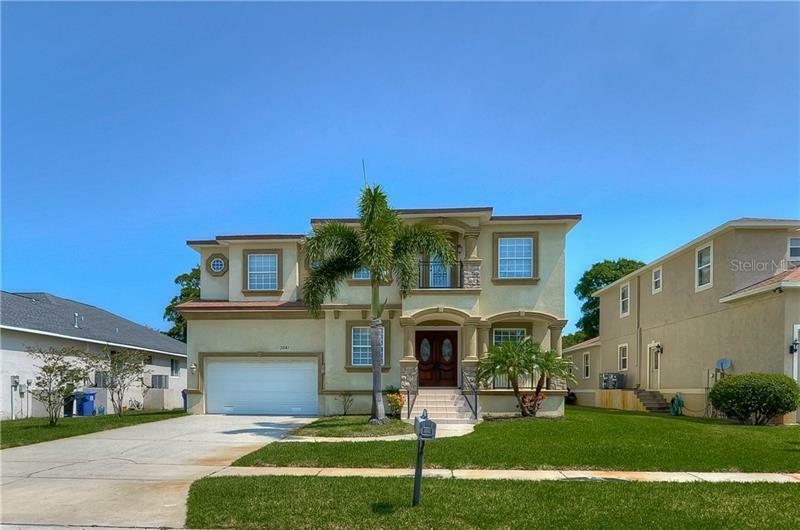 This open floor plan boasts two separate living areas, valuted ceilings and all 4 spacious bedrooms on the main floor. The huge Master Suite includes volume ceilings. Granite Counter Tops and Upgraded cabinets continue into the large master bath with dual sinks, a large garden tub and over-sized walk in shower. Upstairs you will find a generously sized bonus room perfect for a game room or second living room. This Home is located in the highly desirable community of Countrywalk, featuring two pools, tennis courts, basketball courts, soccer fields, fitness room, activity area and within minutes of all that Wesley Chapel has to offer in shopping, dining and recreation. Easy access to I75 and 275 and minutes from the New Florida Hospital of Wesley Chapel. Don’t miss your chance at this true Wesley Chapel Gem! !